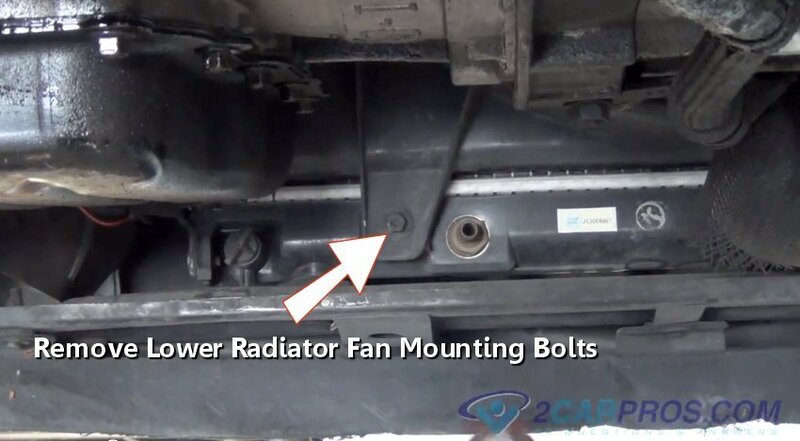 Easy step by step repair guide on how to replace a radiator cooling fan motor, though appearances may vary the process is similar for most vehicles. 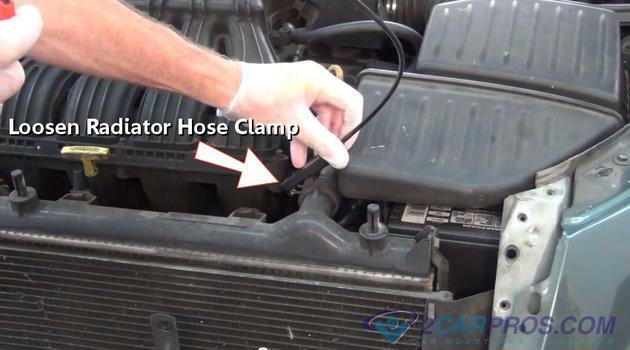 Begin with the engine cold, vehicle on level ground in park, with the emergency brake set. Step 1 - Locate and disconnect the electrical connector for the cooling fan. 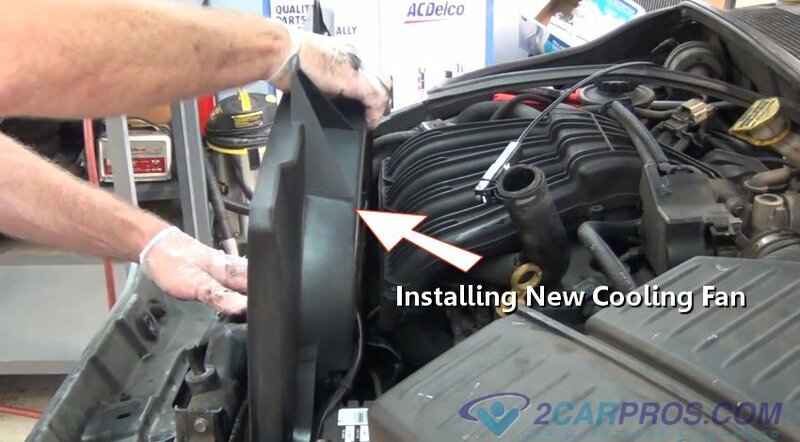 Step 4 - Then, loosen mounting bolts or clips to remove any plastic shielding that will inhibit the replacement of the cooling fan. Step 5 - Once all mounting bolts have been removed, lift the plastic covering from the vehicle. Step 8 - Then, loosen the upper radiator hose clamp using a hose clamp tool or channel locks. Step 11 - Next, loosen and remove the upper mounting bolts from the cooling fan radiator mount. Step 12 - Once all mounting bolts and clips have been removed, gently lift the cooling fan from the engine bay. 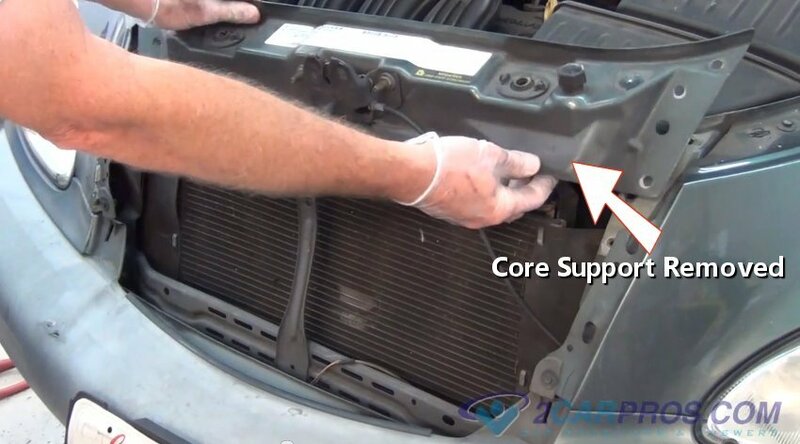 Use caution when performing this action as to not damage the radiator cooling fins. 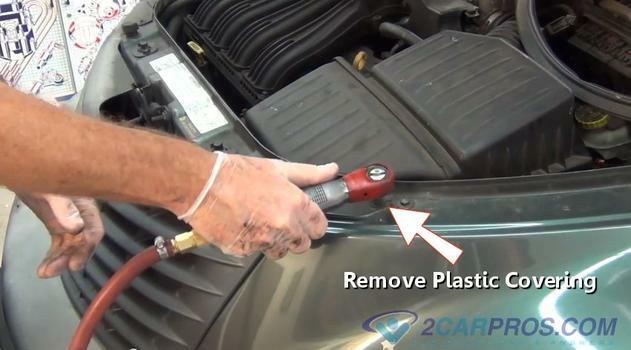 Step 14 - Gently lower the new cooling fan down into the engine bay and onto the radiator. 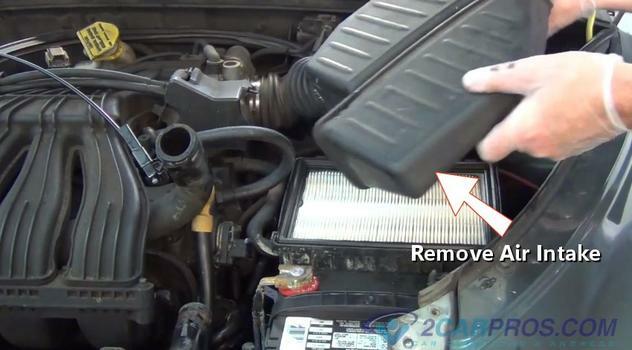 Again, use caution when performing this as not to damage the radiator cooling fins.) 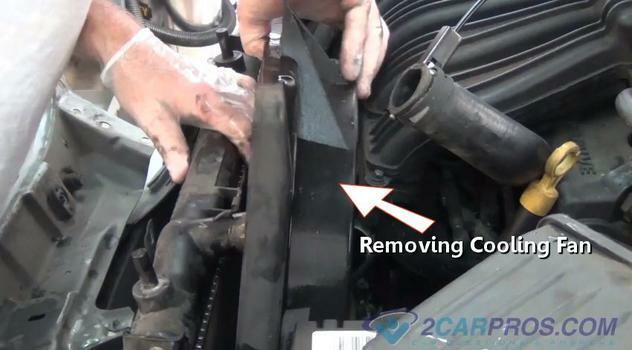 Reassembly all mounting bolts etc., refill cooling system and check the coolant reservoir, add fluid as needed. 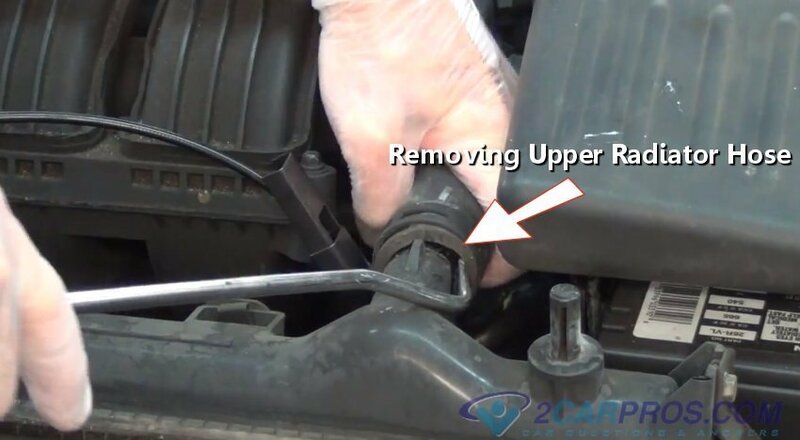 Once these steps have been completed, simply reverse the order to reassemble. 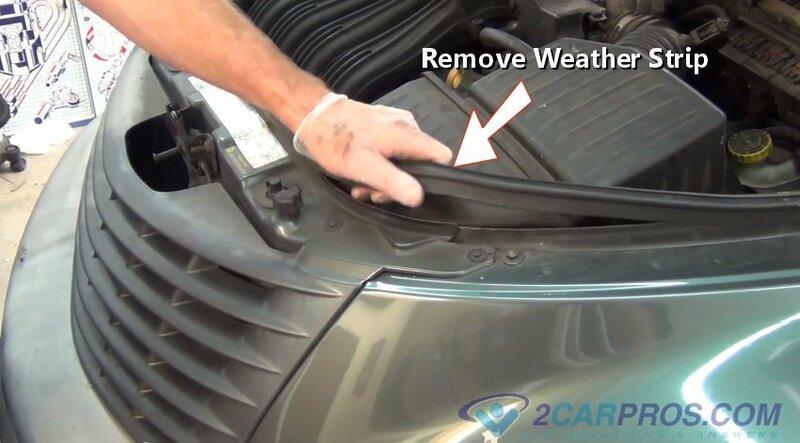 Start the engine and turn the air conditioner "ON", or wait until the engine reaches operating temperature to check for fan operation and recheck coolant level. A cooling fan helps move air through the radiator when the vehicle is stopped or moving slowly. 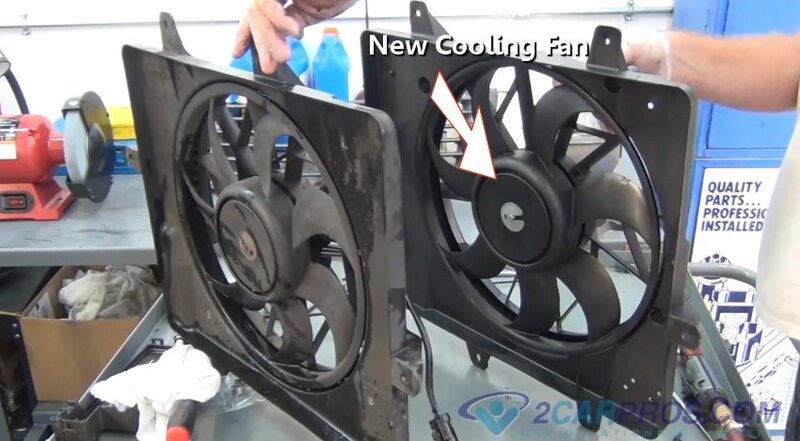 An electric fan motor connected to a plastic fan blade located directly behind the radiator which is controlled by a coolant temperature sensor. This engine temperature information is utilized by the computer which signals the control relay to send power to the cooling fan. When the air conditioner is used, the cooling fan automatically activates to remove heat from the condenser regardless of engine temperature. 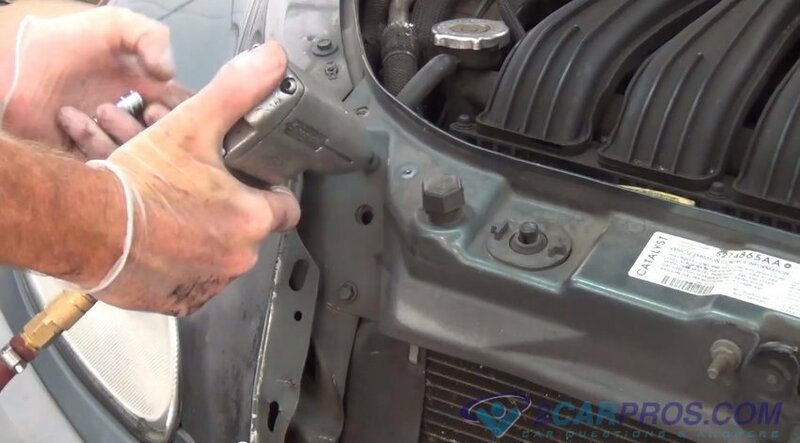 To inspect a cooling fan start with ignition key "OFF". By hand, spin the fan blade, it should "freewheel", if the fan motor does not spin or is hard to turn, it has failed and replacement is required. 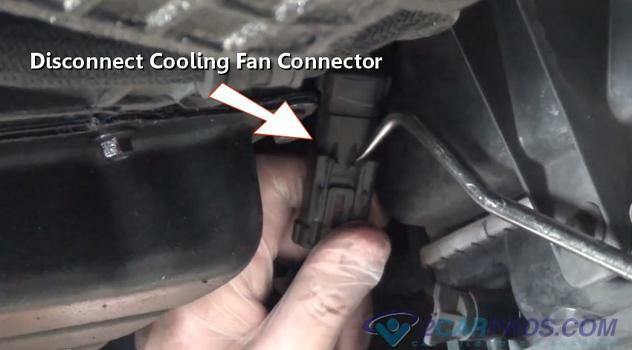 If the fan motor fails to activate electrically check the cooling fan fuse and relay and replace as needed. 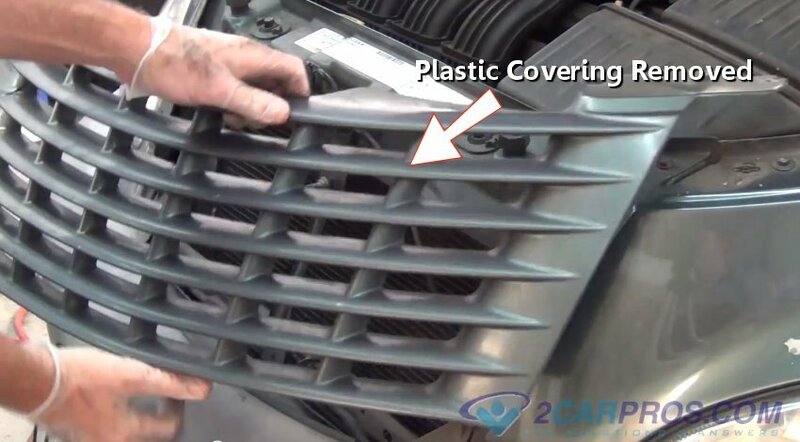 Check the main fan blade mounting nut for tightness. 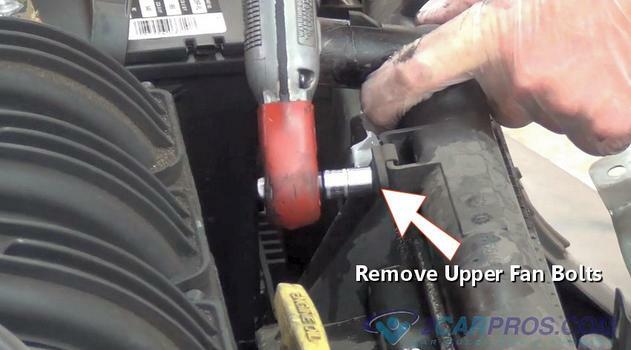 Electrical connectors must free from dirt and debris to ensure proper current flow. Use caution while replacing the cooling fan, if radiator damage occurs it must be replaced.